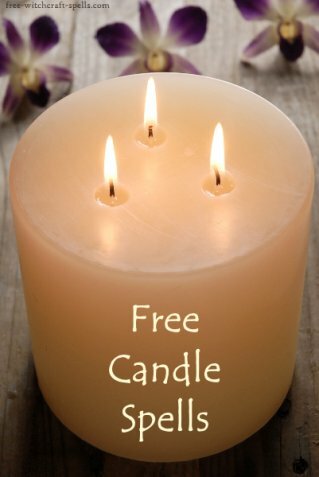 Free candle spells are some of my most popular pages probably because everyone loves to work with candles in their witchcraft practice. Carve the rune thurisaz into the white candle, around the middle. Then card raidho into the light blue candle, and then jera into the darker blue one. Set up each candle in a holder, with the white one on your left, the pale in the center and the dark blue one on the right. I need to move, not to sit. As of now, the delay is gone. Things will start to move at last. Look back at each candle, and repeat the spell words in the same order again. Leave them burning on your altar until they have gone out on their own. You should start to see some progress or changes almost immediately. This is a psychic dream spell, to bring you dreams that will answer a question you have. Most home decor places will have 3-wick candles, though they are not as common as the usual type. If you can find one in lavender, use that. Otherwise, white is fine for this candle spell. Concentrate on the question you are interested in while you work on this spell. Sprinkle mugwort over the surface of the candle, and anoint the amethyst with a little sandalwood oil. Now touch the oiled stone to your forehead three times in a triangle. Ask the Universe to open up your third eye. Set the stone down on the top of the candle, in the middle of the 3 wicks. Hold your hands over the candle, and ask your question aloud. Light the wicks and ask again. Leave the candle burning until it is completely out on its own. After it has finished, you should take note of anything you experience in your dreams over the next 3 days. You'll see a recurring pattern or symbol, and that is your answer. Oh, if you were looking for romance, I have another page of candle love spells that would be of interest.